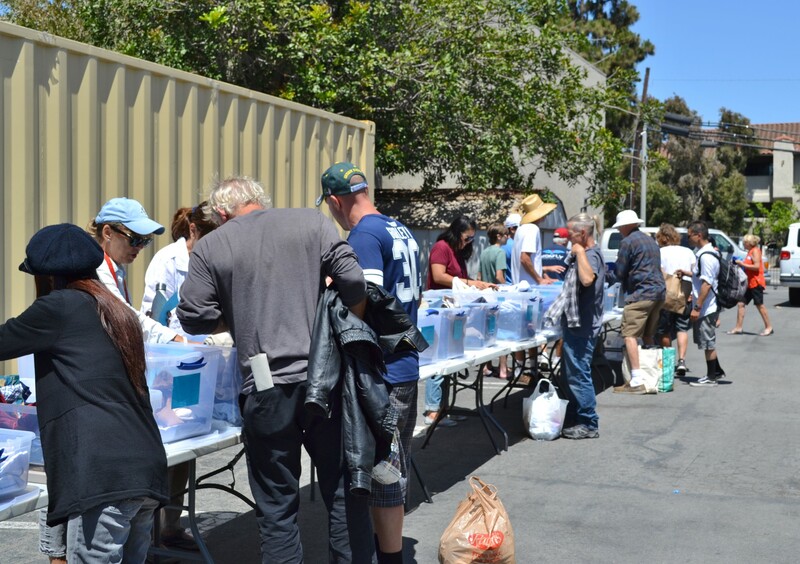 Clothing the Homeless (CTH) is a non-profit organization that serves the homeless population of Orange County, CA through a mobile clothing distribution system. We rely on clothing donations from people like you. 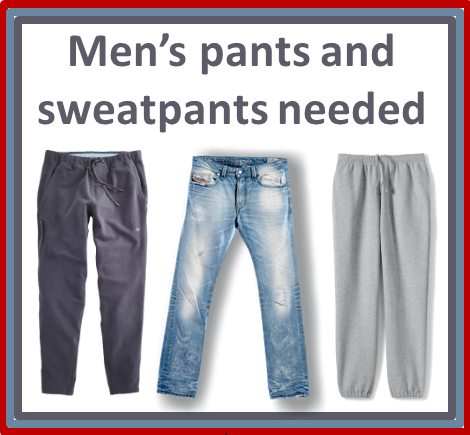 We are in short supply of men's pants, men's shorts, men's belts, baseball hats, tennis shoes, women's shorts and sports bras. Clothing the Homeless relies 100% on volunteers. You can help at distributions or folding and sorting clothes. We have two distributions each month and volunteers are needed. 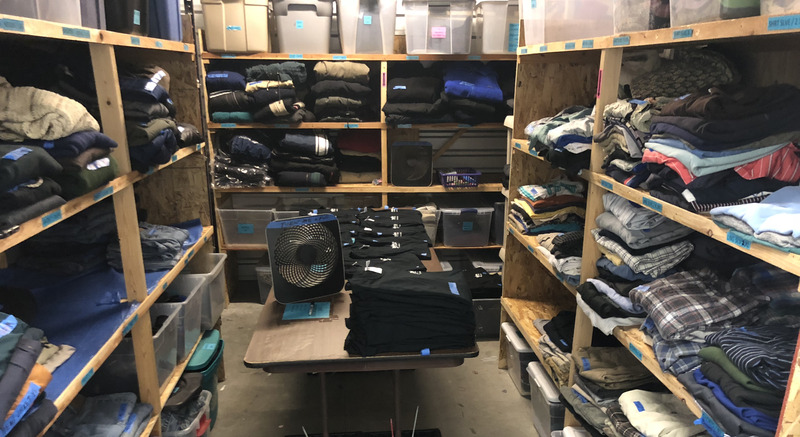 We also need volunteers at the Irvine Woodbridge Storage facility to sort, tag and fold clothes. To volunteer, click on the appropriate link to obtain more details. Learn more about Clothing The Homeless from our Director, Mitch Raff. As you can imagine, pants are one of the most requested items at our distributions. We rely 100% on volunteers from all faiths and backgrounds to help at distributions as well as sorting and folding donations. Clothing the Homeless is a registered 501(c)(3) charitable organization through Journey Christian Church in Irvine, CA. © 2018 All rights reserved.